Healthy Schools Don’t Just Happen…They Need You. After 25 years of success, CASLE is closing (2017). This website will remain active in this archive so as to keep important healthy schools information available for the ongoing task of providing healthy school environments. To mark this milestone, CASLE is also recognizing extraordinary change-makers, and is honouring many who helped us along the way. See the Awards button. Since 1992 every Nova Scotian student and everyone who worked in our schools has benefitted from CASLE’s efforts. Because systems were changed, the benefits are expected to continue into the future. Twenty-five years ago the founding members of CASLE were astounded by what they found in schools. Some of us were parents whose children were made sick by their school buildings, and some were teachers whose health has never been the same. We found each other and set out to change that. Here we are over two decades later. We have partnered with each successive provincial government. We have made schools better across Nova Scotia and across Canada, from Whitehorse to St. John’s, and as far away as Australia. Children can’t learn well if they don’t feel well. Children are uniquely vulnerable to toxins and hazards in their environments. Our schools, their condition and the products and practices used in them, can influence children’s health, well-being and educational outcomes. Researchers have found a 5-to-10-point grade difference between children in good quality buildings versus those in poor buildings. In Nova Scotia, schools now use healthier products for cleaning and teaching, less toxic maintenance materials and safer practices for maintaining the buildings. Most schools have been repaired or upgraded, and many that can’t be fixed are being replaced. 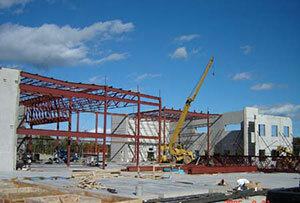 CASLE helped develop a new approach to building healthy new schools, called Healthy School Design and Construction. All new public buildings in Nova Scotia are built following these healthy new building guidelines. Money was always tight. CASLE’s work was done by the volunteer working board of directors and anyone who would assist us, the only revenues coming from membership fees and donations. Special thanks to Kit Hood, who, on behalf of the Playing with Time Foundation (producers of the original Degrassi TV series), made a large donation that paid for years of CASLE’s operating expenses. Thanks to the Environmental Health Association of NS who sometimes paid our bills and helped us go to conferences. Thank you to NS’s United Way who made us one of their few “10%” organizations that could receive direct donations. Thanks to Darren Fraser of UPS who gave CASLE a reduced annual mailbox fee. Thank you to our webmaster Peter Church who gave so much support above the call of duty. As much as we appreciate the NS Department of Education giving us a computer and free tech service for many years, this was the least of their efforts! The NS Department of Education, the NS Departments of Labour and Transportation and Infrastructure Renewal, as well as Health Canada have been the most amazing and productive partners in this long term effort. Healthy Schools Day in Canada/Journée des écoles saines du Canada is being taken on by Canadian Partnership for Children’s Health and Environment (CPCHE). Please support CPCHE and make use of this special day. Nova Scotia led the way toward making Healthy Schools a priority. There is always more to do, but others will now have to step up. We encourage everyone to continue to use this archived website, and to help keep these practices alive. 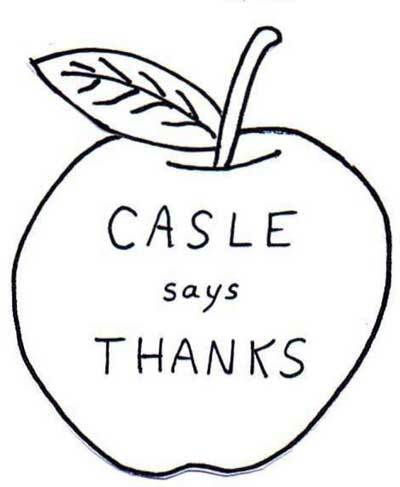 “Sorry to see CASLE dissolve but am so grateful to have known this group who worked tirelessly and voluntarily to improve the conditions of school buildings and the products and practices used in schools, so that students and staff could have safe and healthy place to be. Their efforts resulted in a greater understanding of air quality as it relates to health and the learning environment. Published resources are now available to help administrators, teachers, students, parents, engineers and school boards to understand the issues, to anticipate problems which can arise from activities or design flaws, to help prevent issues in the design phases or planning controls for activities within buildings, to assess air quality where needed and to remediate where deficiencies are found. “…many important changes that you wrought in Nova Scotia which translated directly into many healthier children. …We could rely on your solid factual and strategic advice. “It is bittersweet to close CASLE. You have been such a force for improved air quality in our schools. You helped me a great deal when I was suffering from poor school air. Perhaps now all the new schools being built will use your many suggestions and simply build schools using nontoxic materials and have good fresh indoor air. – Krista Wylie, Co-Founder, Fix Our Schools, Ontario. Children are uniquely vulnerable to toxins and hazards in their environments. Our schools, their condition and the products and practices used in them, can influence children’s health, well-being and educational outcomes. We love our children more than anything, and they are our country’s greatest resource. Whether you are a concerned parent or teacher, a professional designing a new school, a principal or a maintenance manager, CASLE offers over two decades of experience and resources to help solve problems, and to show how healthy school environments benefit students and staff. With solid information, respect, and persistence as our primary tools we can help provide environmentally healthy products and practices in schools, and healthy school buildings. 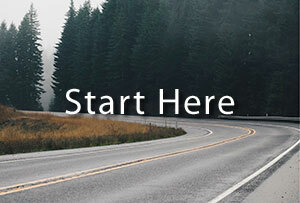 Are you wondering “Where do I start?” The Essential Guide is a set of information sources you will need to get started to make your school a healthier place. School administrators can address and prevent many air quality issues that can affect both health and learning/teaching. 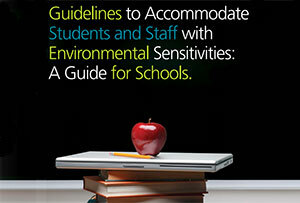 Over 1 million Canadians have been diagnosed with environmental sensitivities (ES). Many of these are students or staff of schools. 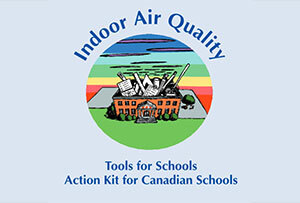 A simple kit helps schools prevent and identify air quality problems. These checklists have been used to identify deficiencies in school buildings. 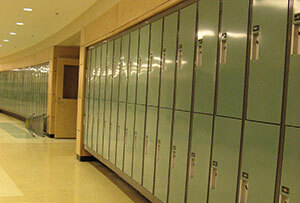 Healthy Schools Design and Construction is a ground-breaking document in design and construction of Healthy Schools. It has been used for over a decade to build all new public buildings in Nova Scotia. 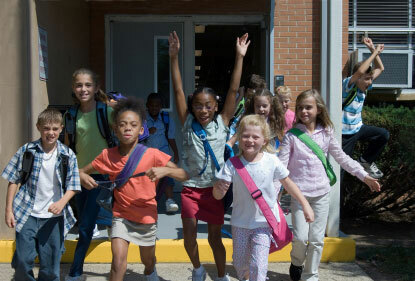 A day set aside each year for Canadians schools to address and celebrate the importance of healthy and happy school environment for students, staff and the school community.